These sessions are intense in terms of information, drills and new feelings. They normally last from 9am to about 4pm. 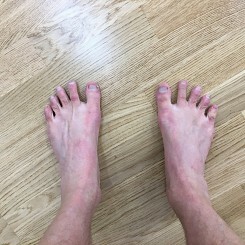 Mark Russell, is a highly qualified and experienced yoga teacher and has developed some excellent foundation yoga type movements/asana for people who run. 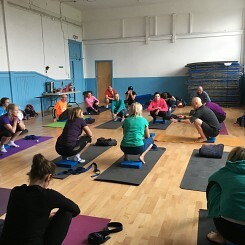 Mark has an extensive practice in Glasgow and runs yoga sessions specifically for runners. 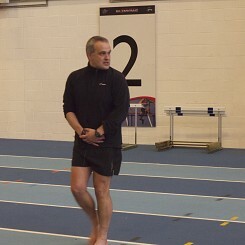 There is real a sense that Mark has a deep understanding of runners of all standards and how the body moves and functions when running. 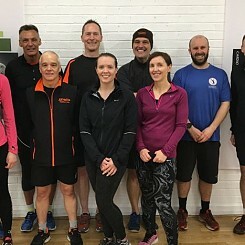 The Running session is equally an intense sequence of drills and running movements but with a focus on linking what the yoga does to support a running practice. 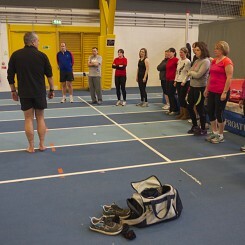 The level of intensity is carried into the running to try and get participants to 'feel' different and tune into their body whilst running. There is a real focus on establishing body sensing, good feeling with ground and a deep commitment to establishing a personal practice. I just wanted to drop you a line to say thank you for an excellent workshop! I got so much out of it and will definitely be spreading the word about how beneficial it is to attend a workshop. 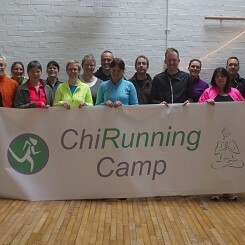 I have already shared details of your next one with our running group and really hope that they book! 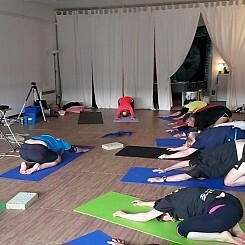 Yoga practice which focuses on movement of hips, one legged balances, breath and the idea of relaxation and alignment. 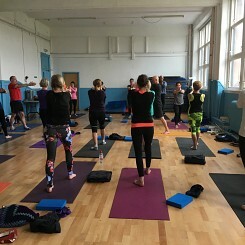 This is not an intense session but more an exploratory session for runners who may not have considered yoga as a practice to support their running. 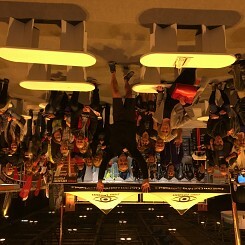 Equally Mark's experienced eye means that those runners who are also yogi's are guided into work according to their needs. 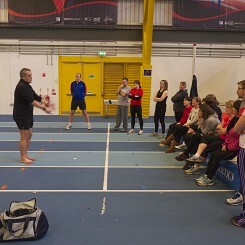 The movement for runners element focuses on the principles aignment, stability and timing. Basic drills allow the participants to feel a more relaxed running gait and at the same time understand how to increase speed with less effort (the principle of least action, for those with a physics background). All participants receive feedback during the day using the coaches eye app on ipad and also an uploaded voiceover after the day which is accessed vai youtube (unlisted). Exemplar students running is also shared to provide participants with the necessary support for their own learning. Hi Nick and Mark Thank you for a great day yesterday. Really enlightening, truly inspiring and fun at the same time.